Dark and Creepy and For the Kids! 1. Middle grade isn’t afraid to be fantastical – I love middle grade fiction because it blurs the lines between realistic fiction and fantasy all the time. The Pevensie children are just ordinary children before they step into Narnia, and Harry Potter lives in a non-magical suburb until he gets his letter. The characters in Rebecca Stead’s When You Reach Me spend most of the book in a realistic setting, before time-travel makes a startling appearance, and the characters of Frances Hodgson Burnett’s tales encounter extremely magical moments in an otherwise completely realistic world. Mixing fantastical elements into more grounded stories works well for dark and creepy, as you can have regular kids doing regular things, before they’re suddenly thrown into the path of a ghost or a devastatingly wicked man. 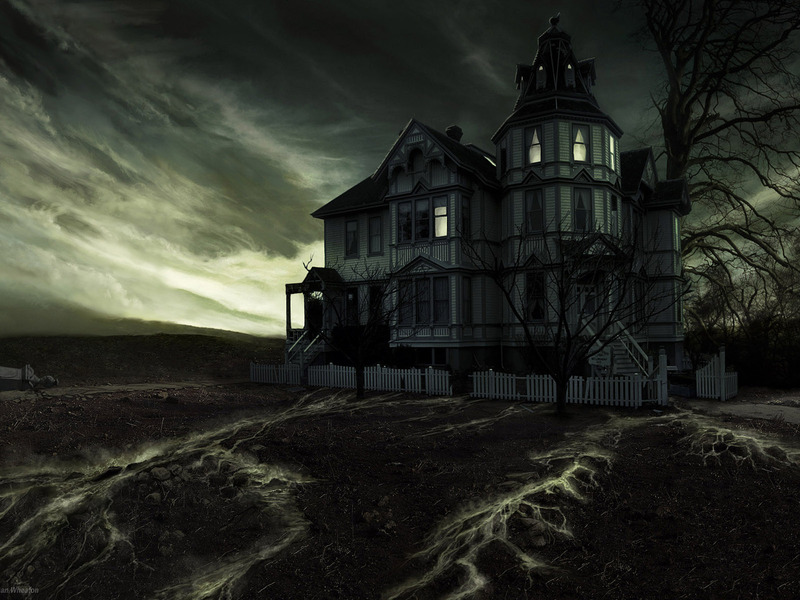 At any time, things can be normal, everyday occurrences, or they can be ghastly, sinister happenings. I like that how that mix works so well with this target of writing. 2. Middle grade isn’t afraid to be all about the story – Older works tend to focus more on characters…character development is important, and I totally get that. But in middle grade fiction, you have this wonderful thing in which you are allowed to say that so-and-so is this age, he likes this, he looks like this, and this is his sister. Now, onto the story. Internal struggles and character developments can sometimes draw you out of the darkness of a story, so I think the fact that middle grade can sometimes escape this and just tell the story right at the action step is really great. Not that middle grade is without awesome character development, too, but I think this style of action first, characters second is one that middle grade can do very well. 3. Middle grade is often less about what happens, than about what could happen – Have you ever noticed that things are way scarier when you don’t actually encounter them? This is one of the huge downfalls of many horror movies…once you show the evil thing, it loses some of its fright factor. But while older stories will sometimes rely on the gruesome aspect of horror, middle grade tends to be more about what you don’t see. In Holly Black’s Doll Bones, for example, you never know if the part-human bone doll is actually haunted or not, but if she is, she does some very creepy things. In the Series of Unfortunate Events series, many of the most frightening moments are when Count Olaf just threatens violence, like when he runs a knife along Violet’s knee to warn her to be quiet or else. Older stories can definitely accomplish this, too (I think immediately to Stephen King’s Misery…the parts when she isn’t around are definitely the most terrifying because you don’t know when she’ll be back! ), but middle grade is, I think, the best at it. Anyone ever seen the show Are You Afraid of the Dark? This was the most amazingly terrifying show for my generation…it was a middle grade-ish show where a group of kids/teens met around a campfire in the woods to tell scary stories. Often, the episodes of this show didn’t actually scare me…but a few left lifelong impacts. And for me, the top two scariest moments came from things you never saw. 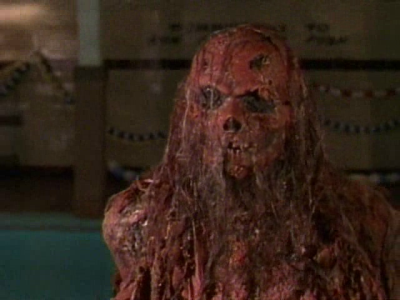 In the episode “The Tale of Dead Man’s Float”, an invisible demon lives in a pool and pulls people under to make them drown…okay, the thing was slightly terrifying in its solid form, but when you couldn’t see it, that was when it was really scary (seriously, I couldn’t go in a pool by myself for years after seeing that episode). And my other scariest moment comes from the episode “The Tale of Laughing in the Dark”, where a supposedly dead clown haunts a teenager in his house. There is a scene where the clown blows a balloon up under the teen’s door. You don’t see the clown, but you know he’s there…awesome horror! Creature from “Dead Man’s Float” – Yes, super creepy. But still not as creepy as invisible demon! So, those are the reasons I came up with. I know there are other reasons, and I know other age-focused stories can be awesomely dark and creepy, too. But I have to give a huge amount of respect to middle grade authors who know how to be scary and terrifying in the best kind of ways! We seem to love the same things: middle grade and spooky-creepy stuff.